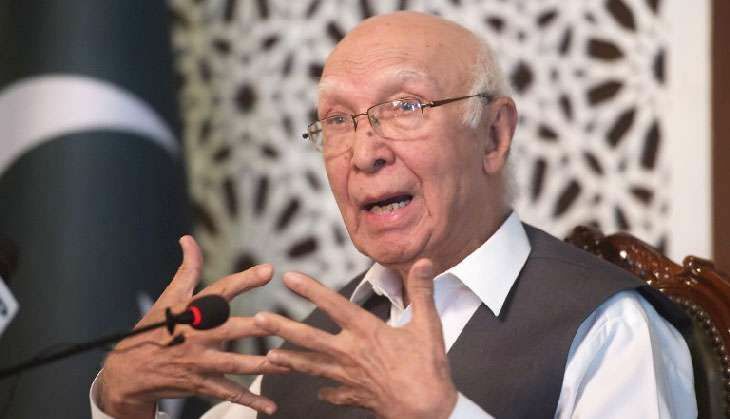 Pakistan Prime Minister's Advisor on Foreign Affairs Sartaj Aziz on 7 December admitted that the government was presented with only "insufficient evidence" on alleged Indian spy Kulbhushan Jadhav who is under detention. Addressing a full Senate chamber, Aziz said the dossier on Jadhav contained mere statements. "It did not have any conclusive evidence," he was quoted as saying by the Geo TV. "What the dossier contained was not enough. Now it is up to the concerned authorities how long they take to give us more matter on the agent," Aziz said. Jadhav, who was reportedly arrested in Balochistan after he entered from Iran, has been accused by Pakistan of planning "subversive activities" in the country. Pakistan Army had also released a "confessional video" of Jadhav, who said he was the serving Indian Navy officer. However, a Pakistan government spokesperson denying the remark made by Aziz, said, "The statement attributed to the Adviser is absolutely incorrect." "The Adviser had said the investigations regarding the network of Kulbhushan Yadav are ongoing and the dossier shall be completed upon conclusion of the investigation. There is irrefutable proof against Kulbhushan Yadav, who had also made a public confession in March this year." The spokesperson further added, that Aziz had condemned the continued Indian interference in the internal affairs of Pakistan. He also urged the international community to take immediate notice of the violation of international law by India.